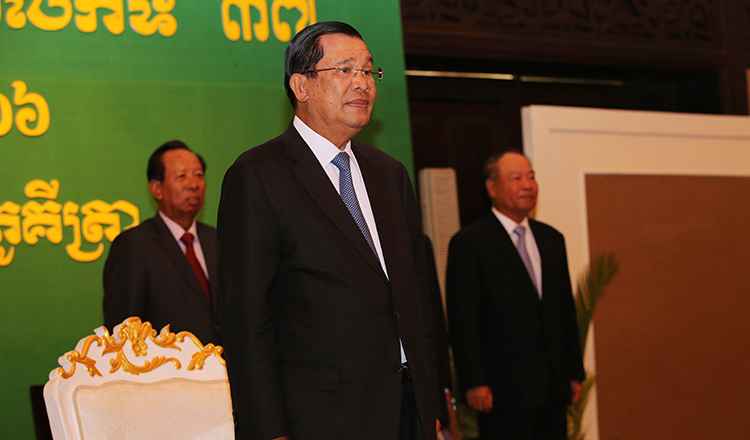 Cambodia is building the foundation of democracy based on its own experiences and strengths. 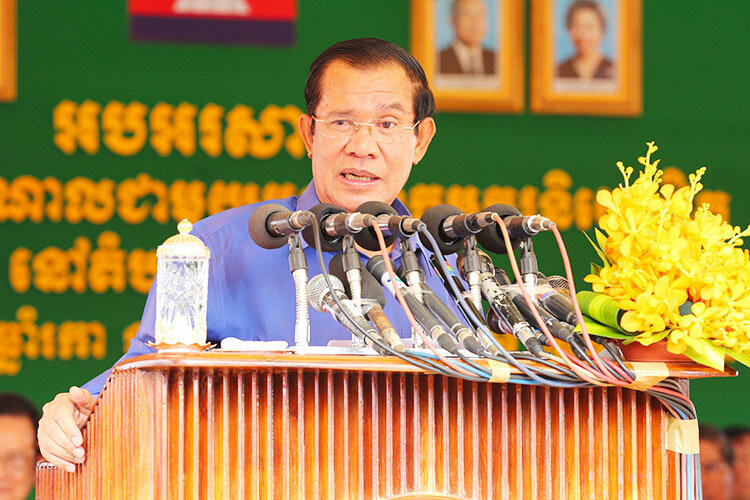 Recently, Prime Minister Hun Sen told Kyodo News in Tokyo that the Japanese model of democracy is more suitable to a Cambodian context. Early this year, spokesperson of the Cambodian People Party (CPP), Mr Suos Yara, told media that the party’s interest was in pursuing a centrist democracy. In his remarks at the 73rd session of the United Nations General Assembly in September, Mr Hun Sen stated, “human rights nowadays have become ‘a mission to impose civilisation’ for some powerful nations or, perhaps, as their operating standards as the pretext for the interference under the name of political rights protection”. Moreover, during his talks with the Cambodian community, when he met them, in Tokyo early this month, the prime minister called upon Cambodians to stand up to defend their independence and sovereignty at any cost – even sacrificing foreign development assistance. He said, “If we Cambodians wish to be independent, we must be brave. I bow to no one”. So, what has made Cambodia more assertive? At the global level the international system is becoming more uncertain, even anarchic, and the power shift from a unipolar to multipolar world is in the making. There is no guarantee that a multipolar world will be more stable. What we do know is that geopolitical risks and uncertainties are high. In such an increasingly fluid international system – some analysts have argued that the world is entering a new Cold War – Cambodia is forced to be more cautious and determined to protect its independence and sovereignty especially under the framework of the non-aligned movement (NAM). In his conversations with the Cambodian community in Brussels, Mr Hun Sen declared his intention to revive and lead NAM after getting re-elected in the seventh general election in 2023. This signals that Cambodian ruling elites predict the world is moving towards a Cold War 2.0 and thus the need for Cambodia and other developing countries to stay independent and united to protect each other’s interests under the framework of NAM. NAM, a group of independent states that do not want to align with any major power bloc, was formed in 1961 in the context of a heightening Cold War between the two opposing blocs led by United States and the Soviet Union. The then Prince Norodom Sihanouk was one of the founders of the movement. 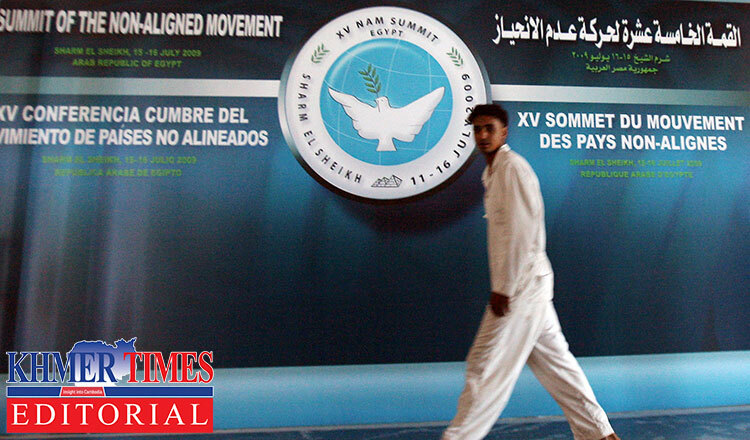 Now, NAM has more than 100 member countries. At the regional level, Asean is thriving to stay neutral amidst a tug of war between China and the US. Some Asean member states are treaty allies and strategic allies of the US while other members have close strategic ties with China. Asean risks being divided if it cannot forge a united front and common position on external relations. Cambodian ruling elites are of the conviction that Asean is an important shield to ward off adverse impacts from geopolitical competition between major powers. Aligning Asean with NAM will help Asean members become more resilient. Asean needs to expand and deepen its global networks particularly in strengthening its strategic partnership with global organisations such as the United Nations, NAM, and World Trade Organization to maintain and strengthen a rules-based international order. At the national level, domestic politics is also evolving fast. In such a transitional period, the risks remain high for ruling elites to maintain the power status quo. The opposition or resistance movement remains active although some of them are quiet. The opposition movement is capable of organising a series of protests against the establishment if there is a leadership compounded with triggering factors. This in turn will lead to political and social instability. Being aware of the risks, the Cambodian ruling elites have taken measures to counter and preempt future chaos that might be orchestrated by the opposition movement. Therefore, negotiations leading to political reconciliation and between the ruling party and the outlawed opposition party will be slow. Political trust is the main stumbling block of the national reconciliation process. Within the context of rising uncertainties and risks at the global, regional and national levels, a strong, transformative political leadership is required. Whoever that can lead and navigate Cambodia through such uncertainties will earn public trust, confidence and support. Cambodia’s foreign policy will need to be more flexible and pragmatic in tactics and strategies but firm on core principles and values, which include independence, sovereignty, neutrality, and non-alignment. Three foreign policy strategies that Cambodia should pursue are the promotion of a rules-based international system, smart implementation of a hedging strategy, and proactive strategic diversification. Building an international alliance against hegemonic power is one of the main objectives of Cambodia’s foreign policy in the new era. Cambodia will chair the Asia-Europe Meeting (ASEM) in 2020 and Asean, again, in 2022 in a rotating chairmanship. These are the two main events where Cambodia can play its international role. In addition, in early 2019, Cambodia will launch the Asian Cultural Council, an affiliate body of the International Conference of Asian Political Parties, to promote its soft power through cultural diplomacy. There is an urgent need to create a new world order, not dictated by either the US or the European Union or one global policeman. Cambodia can pave the way for a new world that is non-aligned and joined together in the deepest feelings of fraternity and brotherhood.